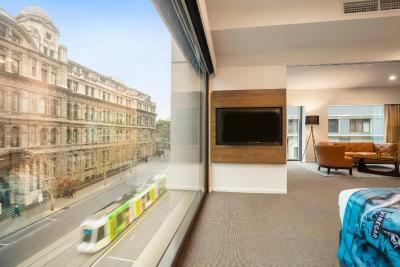 Lock in a great price for Holiday Inn Melbourne on Flinders – rated 8.8 by recent guests! Others have said it before but amazing pillows and a super-comfy bed! Breakfast was also wonderful and staff were very friendly and helpful. The hotel was very well located for my business trip. Very clean hotel, breakfast was great had everything, close to all amenities, room was clean had every thIng in it. Pillows very nice soft and fluffy. The staff were extremely helpful and the room had a great layout. Very comfortable bed and the room ambiance was great! Plus relaxing street view. Quiet room on pool side. Comfortable beds. Great shower. Location makes it so easy to get anywhere. Easy walking distance to southern cross or the casino. All staff where good, the lady who checked me in was really helpful. Room was clean. Receptionist on arrival very friendly and willing to provide assistance when needed. Bed was comfortable. Very clean. Beautiful view of trees in the lane. Staff very friendly. 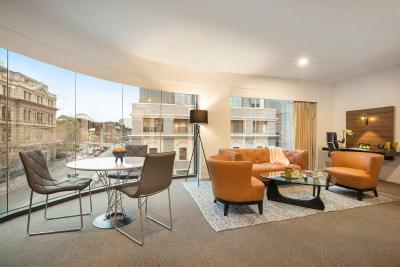 Holiday Inn Melbourne on Flinders This rating is a reflection of how the property compares to the industry standard when it comes to price, facilities and services available. It's based on a self-evaluation by the property. Use this rating to help choose your stay! 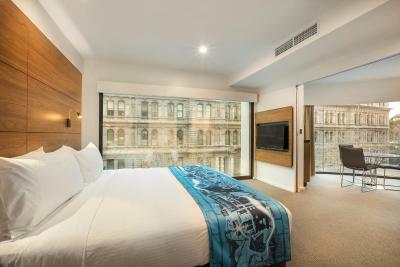 Located in Melbourne's CBD, on the corner of Flinders Lane and Spencer Street, this hotel offers a heated outdoor pool, a sauna, a garden terrace and a fitness center. All rooms have a flat-screen TV with cable channels. There are tram and bus stops directly outside the hotel. 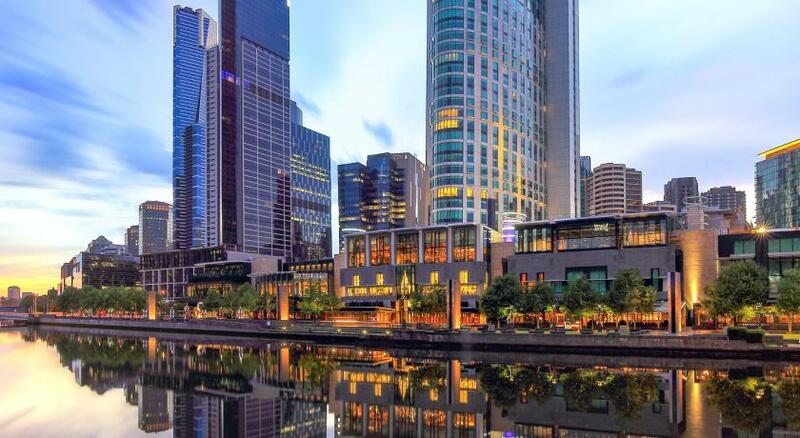 Holiday Inn Melbourne is 1,950 feet from Sea Life Melbourne Aquarium and a short walk from Etihad Stadium, Melbourne Convention Center and South Wharf. 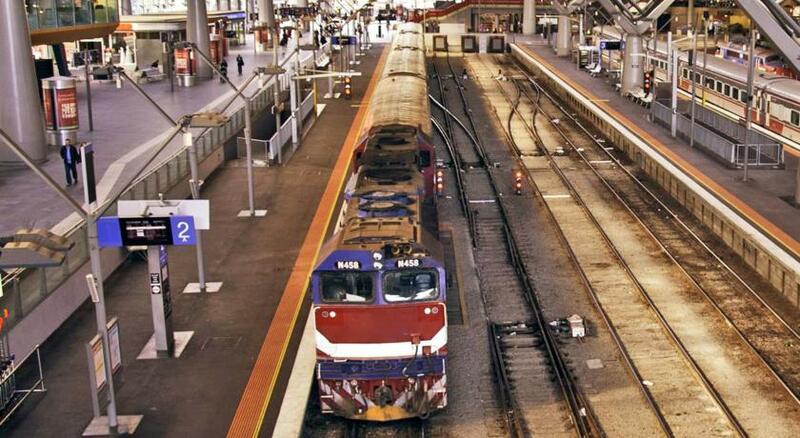 It is a 2-minute walk from Southern Cross train station. 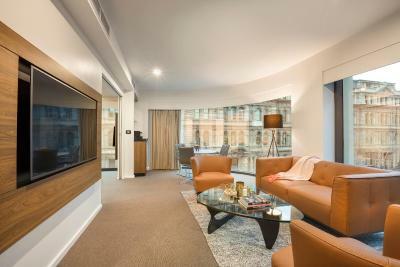 Surrounded by beautiful historic scenery, Holiday Inn Melbourne on Flinders offers contemporary accommodations with floor-to-ceiling windows, air-conditioning and a pillow menu. Most rooms offer stunning views of the city. Holiday Inn’s Sirocco restaurant and cocktail bar serves fresh modern Australian cuisine during the day and evening and a large cooked and continental breakfast buffet. 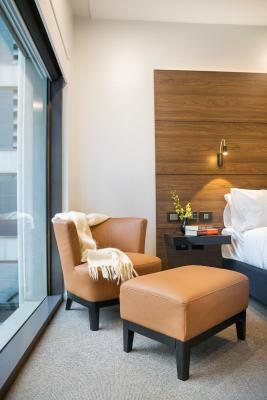 When would you like to stay at Holiday Inn Melbourne on Flinders? This air-conditioned room features floor-to-ceiling windows, a choice of pillows, a 32-inch LCD TV with cable channels, a large work desk and tea/coffee making facilities. This twin room has a iPod dock, electric kettle and mini-bar. This twin room features a mini-bar, flat-screen TV and seating area. This double room has a mini-bar, iPod dock and seating area. This double room has a soundproofing, seating area and iPod dock. House Rules Holiday Inn Melbourne on Flinders takes special requests – add in the next step! Holiday Inn Melbourne on Flinders accepts these cards and reserves the right to temporarily hold an amount prior to arrival. Please note the pool at the property will be closed until 14 June, 2018 due to renovations on level 1. Please note that there is a 1.5% charge for payments made with all credit cards. Please note all rooms are nonsmoking. One guest using the gym used the only treadmill for a long period and other guests unable to use it. Unable to regulate air conditioner in room. The bedroom feels a bit uninviting and the whole decor is cold and sterile. There were two double beds, but only a table at one side. Nowhere for a glass or phone overnight. Mine ended up on the floor. Not conducive with your star rating. The evening dining set - up and menu were also very uninviting. Not a patch on Holiday Inn at the airport - which is cheaper too. There the menu is excellent. Front desk staff excellent. Location perfect. Room service / garden salad expensive for what u got. Breakfast ordered soft poached eggs others served before me had to ask for order was completed just not served so cold. Then went with eggs for bacon had to ask for replenish as none was available. So cold breakfast. WE HAD A SWIM, THE POOL WAS QUITE SHABBY, HOWEVER THE AREA LOOKED APPEALING. Fantastic location for southern cross station and dfo southwharf.